In that post, I provided four basic tips to running a successful marketing campaign through social media and shared my own experiences thus far with building an organic following. I’d like to return to one of those tips today, one which I think is the real secret to success with a social media campaign. To this point, when I’ve talked about engagement, it has typically been in “marketing” terms, as in the likes, shares, and comments that fuel any social media post. In this case, we’re just talking about participating in social media; finding other writers and connecting with them by responding to their posts or tagging them in cool things. But, writing is all about showing over telling, right? So I’ll just show you what I mean. I hung out with him for a good while as other people also came to visit him, and then I snapped a picture and shared it on Facebook to spread the love. Before January 28, the day I posted that photo to the RSPC Facebook page, one of my better days of Facebook Reach (the number of people who saw a post in their news feeds) was on January 8, with 39 “Reaches” (Views? Impressions? Impressions sounds better). 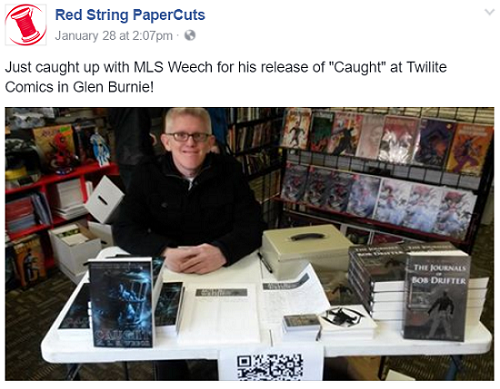 MLS Weech shared the post to his own network, and suddenly the Reach sky-rocketed. 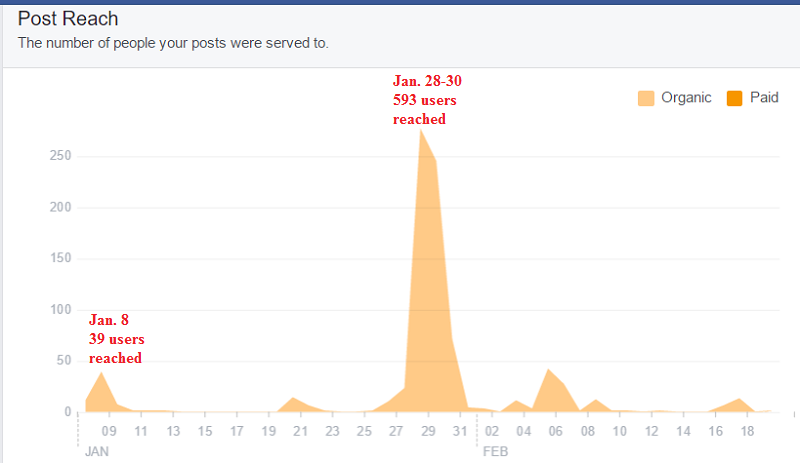 Between January 28 and January 30, the RSPC Facebook page reached 593 users! I haven’t done the math, but that number probably dwarfs the reach of all of my previous posts combined. Again, those numbers blow all of my previous Facebook posts out of the water. We have also seen a bit of an uptick in followers since then, which may just be correlation, but it’s still cool. That is the power of social media engagement. I do not recommend sharing and taking pictures of every writer you encounter in an effort to generate engagement numbers. Your interactions with your audience and with other writers should still be genuine. But sharing posts of events you have attended or local authors you are actively supporting can go a long way towards not building an “audience”, but building a community. *Looks up from the notes he’s scribbling* Oh, hello there! I seriously just understood what you said. I like and share, comment when appropriate. I like going to WordPress and tweeting the posts I like. I had no idea that was doing anything for me. I seriously thought, “Hey, I’ll share this! It’ll help a friend out.” Keep talking sent into me Steve, I’ll figure it out sooner or later. (Probably much later). Haha it definitely does help, even if only to bring a few more eyes to your Facebook / Twitter / WordPress profile. 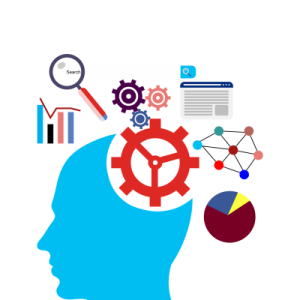 Very nice, Social media is one of the most cost-efficient digital marketing methods used to syndicate content and increase your business’ visibility.